Whether you cook for your family or a hoard of hungry customers in the hospitality industry, you are sure to find that a vegetable chopper makes your job so much easier. Instead of cutting vegetables by hand, spending hours trying to make sure they are of a consistent size, you can use a vegetable chopper to ensure a clean, even cut every time. From potatoes and tomatoes through to carrots, onions, and more. Everything you can think of in the vegetable family, you can slice to a consistent shape and size. However, the vegetable choppers you often see on the market can now do more than chop vegetables. Recognizing the need for something even more versatile, manufacturers are creating all-in-one choppers that can cater to your requirements for chopping garlic, cheese, and so much more. In fact, some are electric and can mince, grind, blend, chop, and cater to your textural requirements as well. No longer is a vegetable chopper confined to cutting vegetables. Therefore, you can almost cut your meal preparation time in half, increasing productivity and profit in the process. Check out any of these vegetable chopper options below if you’re ready to experience a new form of convenience in the kitchen. If time is of the essence and you don’t have time to use a knife painstakingly for hours, it might be time to invest in this electric vegetable chopper from Bestek. Designed for use with not only vegetables but meat, fruit, and nuts, it’s the crème de la crème of kitchen appliances that make your life easier. 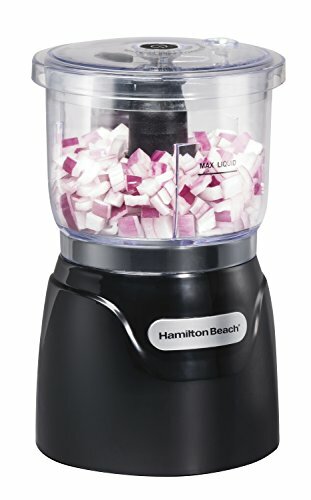 It’s considered a miniature food processor for its ability to power through all manner of ingredients, and it can handle up to five cups of any produce at a time. Therefore, it’s an excellent appliance for busy families who desire nutritious food but don’t have the time. It works quietly and effortlessly, has a powerful 300-watt motor, and enables you to use it with two different speeds as well as a pulse function. What’s more, it’s capable of catering to your specific texture requirements. This vegetable chopper can chop, mince, grind, blend, and create fine or coarse textures, depending on the ingredient and its best form. Sealing the deal is the BPA-free bowl which is also safe to put in the dishwasher, as well as the 18-month warranty. This is a vegetable chopper with a difference, so it’s well worth your inspection. This manual vegetable chopper from Brieftons is a decent kitchen appliance that any homeowner would be happy to use for a better meal preparation experience. It handles fruit, vegetables, and even cheese, allowing you to spend less time with a knife in your hand, and more time doing what you love instead. It can chop and dice food in one motion and enables you to choose from several different shapes and sizes as well. Use the grid blade for potatoes and cheese to create chip forms or opt for the smaller grid for onions. The options are endless for how this vegetable chopper can take meal preparation one step further. What’s more, it can hold around 12 cups of prepared vegetables, meaning you can create a salad for the whole family in one go, with one tool. What you are also sure to appreciate is how durable the blades are. With this vegetable chopper, you get three German hardened stainless-steel blades, and they can take care of the softest tomato all the way through to the most laborious carrot. Whether you’re preparing soup or salad ingredients, this vegetable chopper ticks all the boxes. The container which houses all those beautifully chopped vegetables is also far more substantial than many of its competitors on the market. Therefore, you’re able to cut more vegetables without needing to empty it. This same container is also free of all toxic chemicals, is impact-resistant, and has a slip-proof base. Everything has been thought of for a more satisfactory customer experience. If you purchase this vegetable chopper, you will be impressed by the value for money. You get three blades, a cleaning brush, a plastic container, recipe Ebook and a container lid, as well as a limited lifetime warranty. 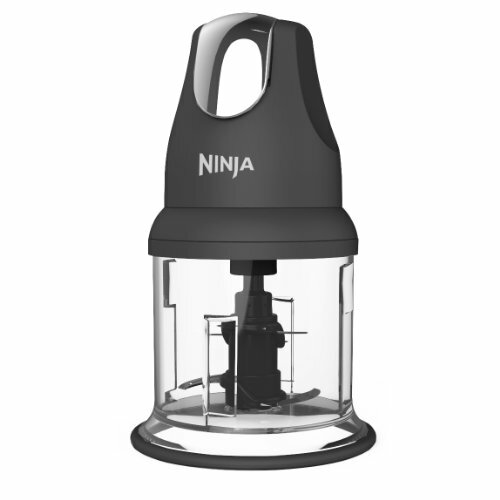 When you’re in the market for a vegetable chopper that can do far more than just chop vegetables, this food chopper from Ninja is it. 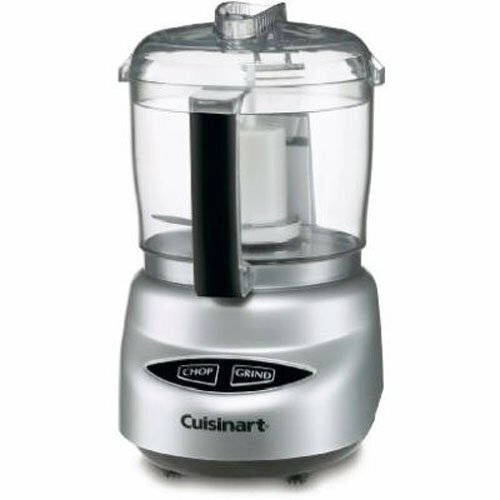 With a 200-watt motor and exceptional power, you will have any meal or ingredients prepared in no time. The best part is, it’s affordable for most people to take advantage of. Whether you’re chopping vegetables, fruit, nuts, herbs, or even cheese, this vegetable chopper can handle the task with ease. You can prepare pesto, sauce, spreads, dressings, and also crumbs – all with a powerful yet easy-to-use and convenient kitchen appliance. 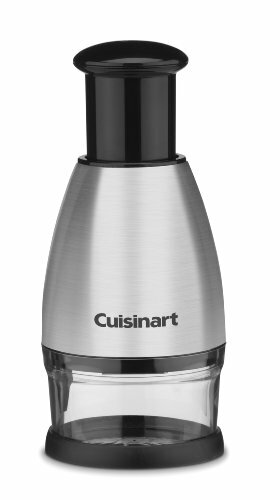 It can handle 16 ounces of ingredients, has a very comfortable powerhead that’s easy to grip and control and it makes quick work of meal preparation. Whether you’re preparing a delicious dinner for your family or paying customers, you will find this food chopper ticks all the boxes. Furthermore, the BPA-free and dishwasher safe plastic will give you peace of mind, while the pulsing function that requires just one touch will have you preparing consistently perfect ingredients every time. There’s everything to love about this vegetable chopper from Ninja. There’s a reason why this vegetable chopper is called Alligator chopper – it cuts through the toughest of vegetables with ease, like the animal itself does. There is undoubtedly more to this food chopper than meets the eye. Its price tag reflects its quality, it’s made of robust stainless-steel to last the distance, and it won’t break, snap, or crack like some plastic vegetable choppers on the market can. What’s more, no hard or soft vegetable or ingredient is a match for the durable blades with which this chopper comes. It’s easy to set up, provides a clean and concise cut every time, and is also dishwasher safe for an easy clean-up job afterward. The best part is, you can rely on it to get the job done. It stays sharp, has beveled blades to cut cleanly – no matter how hard or soft the ingredient is and will tie seamlessly into any contemporary kitchen. It’s designed to be aesthetic, but it’s also intended to be functional and get the job done. This vegetable chopper has three blades of varying sizes to suit the particular ingredient, and these are easy to change with just one hand. There is no mess, no fuss, and pure satisfaction from preparing vegetables in half the time it takes to cut them by hand. Most vegetable choppers you find on the market today have three blades, and three ways of chopping vegetables. However, this Zalik vegetable chopper exceeds all expectations by providing you with an abundance of options. Whether you’re preparing soup, salad, or vegetables for a stir fry, you will more than be impressed by what this chopper can offer. 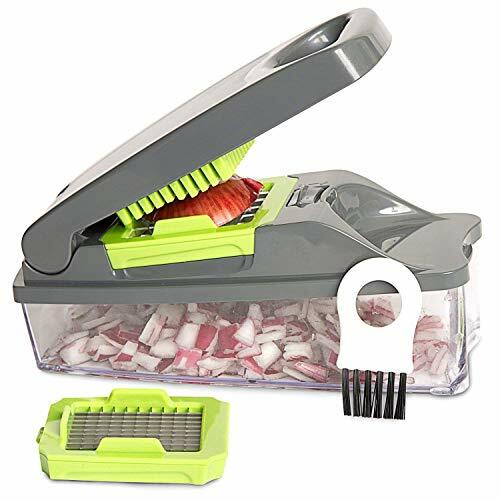 Considered an “11-in-one” vegetable chopper, it can mince, dice, slice, chop, and cut all manner of vegetables with ease. However, it doesn’t end there. 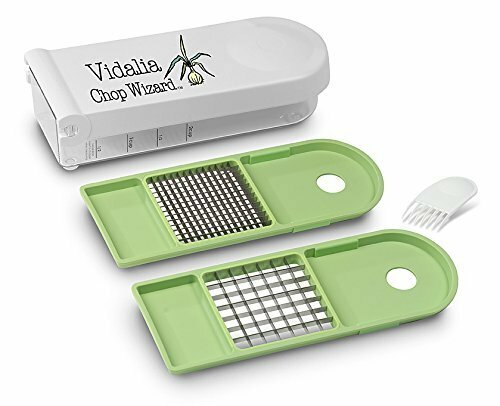 Given that it comes with 11 blades opposed to the typical three, you can then peel, shred, and grate several kinds of vegetables without having to change tools. Swap the blade out and continue your meal preparation task. While it comes with many different blades, you can’t rest assured that the quality isn’t compromised – even if this vegetable chopper is exceptionally competitive on price. All blades are made of high-quality stainless-steel with a fine edge, and then has reinforced plastic encompassing the sides. These parts are easy to install, easy to use, and they are effortless to clean as well. Just put them in the dishwasher and walk away. Even with the competitive price tag that ensures almost everyone can afford this vegetable chopper, you can also enjoy peace of mind with the warranty. For all manufacturer faults, you can get a lifetime replacement guarantee. It’s easy to see this is one of the best vegetable choppers available on the market today. Not everyone is adept at using knives for meal preparation, but until vegetable choppers became available, they have always been a necessity. However, you can save yourself from potential injury by investing in this Acodine manual hand chopper. Designed to take all the hard work out of meal preparation while protecting your hands and providing consistent cuts, it’s a premium product. 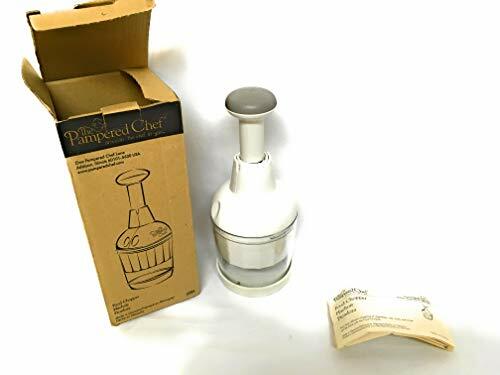 It can cut food finer and more consistent than you could ever do by hand and takes just one press down on the top to achieve a clean cut. What’s more, it doesn’t have a myriad of pieces like many other vegetable choppers on the market. Place this one-piece tool on top of the vegetable or ingredient of choice, then press down. The robust blade within this manual vegetable chopper will impress time and time again. From the softest tomato through to hard root vegetables like carrots and turnips, they are no match for this vegetable chopper. Then, once you’ve finished preparing your dinner, you can wash it with warm soapy water, and the job is done. It takes up minimal space in your cabinets, has no finicky parts that are easy to lose, and it’s affordable to ensure many different people can afford it. If you’re in the market for a vegetable chopper with a no mess, no fuss approach, this one could be it. Contrary to popular belief, a vegetable chopper doesn’t have to have just one function. The best kitchen appliance is one that can take on many jobs, ensuring less kitchen space is taken up with large devices. Therefore, this Yosiyo may be worth your investment. If you have minimal space in your kitchen, but your meal preparation requirements are as pressing as anyone’s, a multi-function blender such as this one can tick all the boxes. It can chop vegetables, blend soups, make dressings such as mayonnaise, and even create milkshakes or fruit juice. With many different attachments, blades, and functions, it’s an exceptional appliance that can save ample time and space. 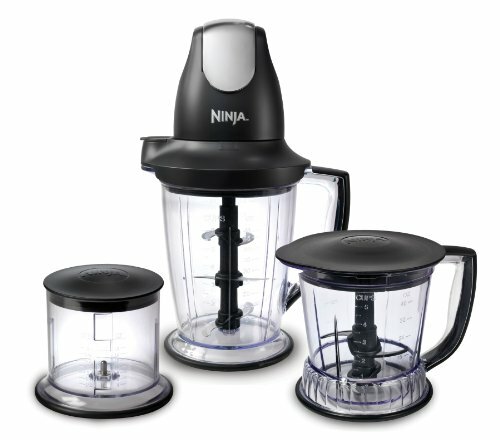 It comes with a blender, a chopping bowl, beaker, and whisk, and all of these items are exactly what you need to undertake a range of tasks. It has robust stainless-steel blades to cut through all manner of ingredients, as well as a splash guard to prevent splatter. Keep your kitchen clean while the 500-watt motor powers through your vegetables, fruits, and more. While it has many different parts, this vegetable chopper is easy to clean, assemble, and store. All the pieces can be rinsed, and the blender arm, bowl, and beaker can be put in the dishwasher for an easy-clean approach. It’s warp resistant, you can immerse it in hot soups or liquids, and it will help you to create culinary delights in the kitchen with ease. If your budget doesn’t stress to a motorized kitchen appliance, but you still need a quality vegetable chopper on which you can rely, this product from BuySevenSide could be the answer. Designed to make quick work of meal preparation, you can put away the chopping board and knife immediately. It comes with six robust and reliable stainless-steel blades, is suitable for hard vegetables like carrots, and soft vegetables like tomatoes, and is easy to both use and clean. What’s more, this vegetable chopper is not just for vegetables either. Chop fruit or cheese and reap the rewards of consistent slices every time. It catches all the ingredients you chop into its BPA-free plastic container and can even do more than just chop. 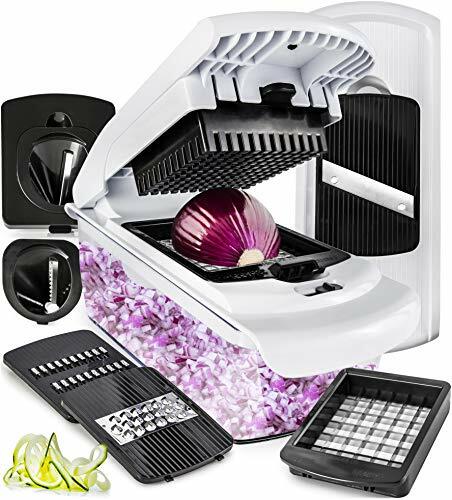 For an affordable price tag, you can also shred, slice and grate – all essential techniques necessary to create culinary perfection. Once you’ve finished preparing your meal, you can then pop all of the parts into the dishwasher and let another appliance take care of the hard work. Your time in the kitchen can become effortless with a minimal investment. If you don’t have any convenient power sockets in the kitchen, yet you don’t want to compromise on your chopping quality, you need this vegetable chopper from T-Fal. Designed to rival most powered choppers, it takes very minimal work to produce exceptional results. It takes just five seconds to work its magic and can prepare all manner of food items you require to get through the day. From baby food and salsa through to vegetable chopping, fruit, and even sauces, there’s nothing this vegetable chopper can’t do. Unlike many other vegetable choppers on the market that have quite a manual component to them, this one doesn’t. Pull the knob and experience a clean cut every time. All blades and the casing are dishwasher safe, and you can also benefit from a lifetime warranty as well. There’s no time like the present to invest in a quality vegetable chopper if you’re looking for a seamless meal preparation experience.